More than 200 individual subjects are examined by ICM on a quarterly basis, covering key industry sector areas. ICM provide qualifications that are recognised globally and in excess of two million ICM Awards have been issued to successful candidates over the past 40 years. Established as a charity for global outreach in 1979, the Institute of Commercial Management is a leading international professional organisation for commercial and business development staff. ICM's global services include the design, development and certification of business education and training programmes. Please enjoy our first issue as we celebrate the launch of our new ICM magazine, Focus. 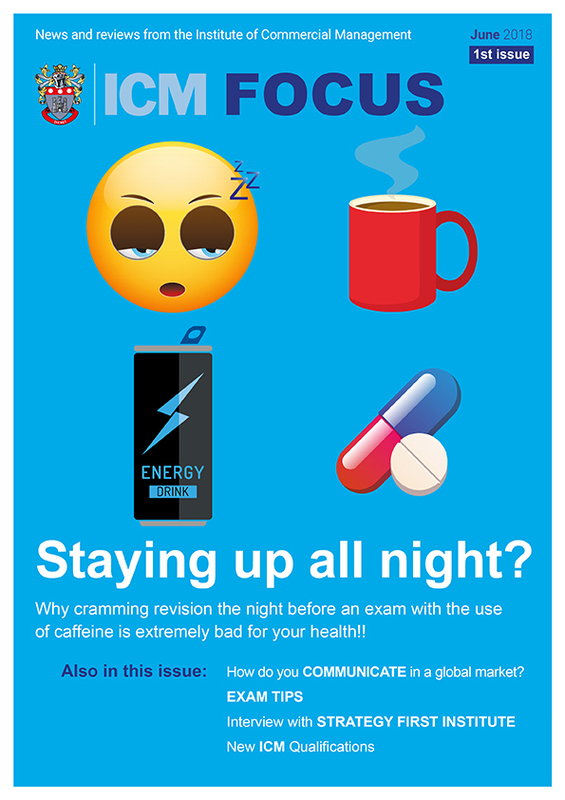 Issue 2 is now available to ICM students click on the link below to gain access (requires registration). I completed an ICM qualification in Business Studies and then continued on to an MBA programme. My personal view is that ICM programmes provide the very best foundation for those wanting to go into business, and the courses have certainly taught me a lot about self reliance. As an international speaker for education and providing a variety of accredited teaching and training qualifications that meet the British Regulatory Bodies’ requirements for training delivery I am always happy to promote the value in ICM courses to Centres as I have seen the progression opportunities given to learners as a result of their ICM related achievements. The ICM qualification has helped me to appreciate a number of factors in leadership because in leadership we deal in people – human resources. As well as becoming an MP, I also manage my own travel business, Crescent Tours & Travel. I wanted a qualification in Health & Safety to support my role as a Teacher and help raise the awareness of myself and my team. ICM's course gave me the knowledge required to help us meet legal requirements and be confident that we are doing the right things to protect students, employees and visitors. I think ICM is the perfect route to develop personal skills and gain a qualification. The ICM programme laid good foundations for my success. It is only through undertaking the ICM programme that I received the knowledge to undertake my Masters degree and my job with confidence.Big thanks to ICM for my success. I will always appreciate what ICM did in my life. View the first issue of our Focus magazine or subscribe to the series. Ready to explore our qualifications? Thank you. For your reference here is the ICM Whistle blowing policy. Friday 21st December from 1pm. Saturday 22nd to Wednesday 26th December. Saturday 29th & Sunday 30th December. Thursday 27th & Friday 28th December.